* Pig control with hunting dogs occurs every Wednesday and Sunday. and learn what to expect along the trail. 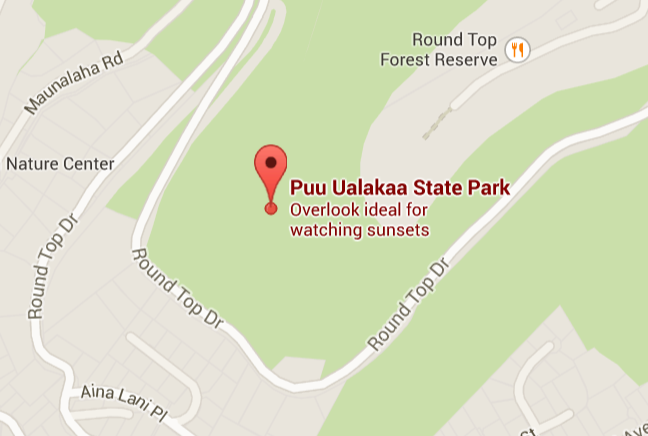 Pu’u ‘Ualaka’a State Park sits on Makiki Valley’s east ridge, offering an amazing overlook view of Diamond Head and the city. The state park provides picnic tables and restrooms for visitors. 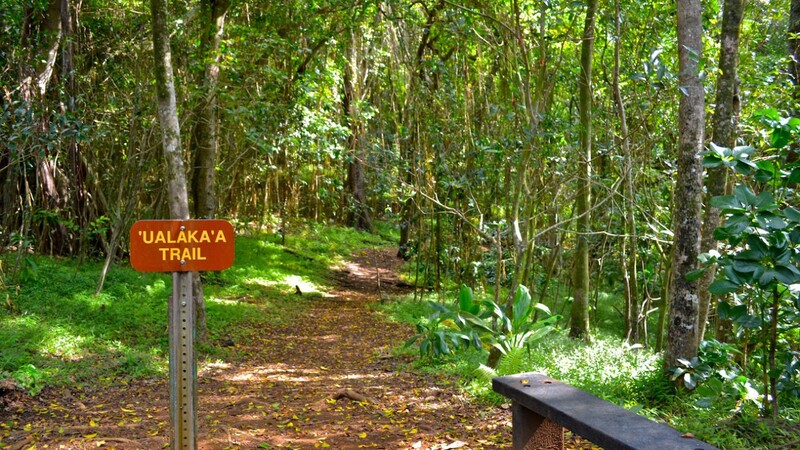 Just a few turns before reaching the overlook is the start of the ‘Ualaka’a Trail. 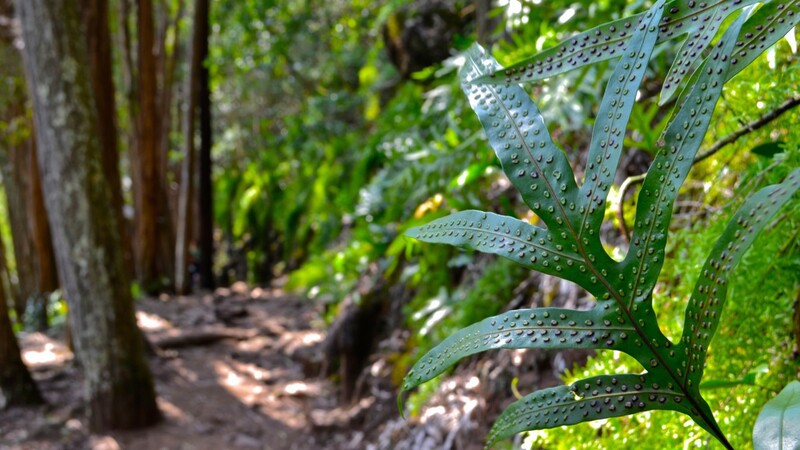 It is not much of a hike, but is used more as a connector trail to reach other hikes that access the valley, such as the Moleka, Maunalaha and Kanealole trails. 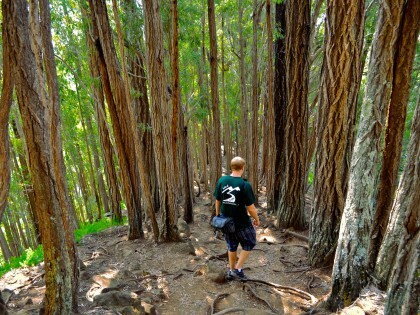 We recommend bringing a map of the trail network with you, as many of the paths branch off into other hikes. For your convenience, a trail map of the area can be found in the “More Resources” section at the bottom of this page. 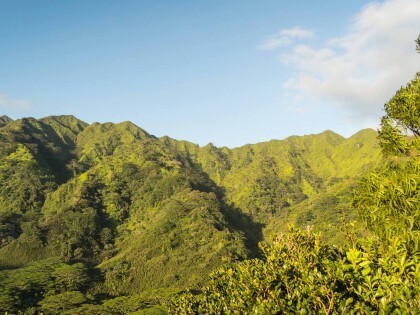 By car: Follow the map below to Makiki Street, staying right at the fork. Turn left onto Round Top Drive and follow this road until you see the sign on the left for Pu’u ‘Ualaka’a State Park on the left. Turn in and follow the road until you see a small turnout on the right, surrounded by some Cook Pine trees. If you are interested in going to the overlook, pass the turnout and just follow the road up until it ends.